We recently dove into the types of wood products that can create a piece of wood furniture, covering solid wood, plywood, particle board, and MDF. But there was one thing we didn’t have room to get into—the difference between solid wood that’s grown here in the US and solid wood that’s grown in another country. Keep reading to find out more about why it matters where wood comes from (and check out our selection of gorgeous wood furniture here). Most furniture made in America is made from trees grown here. Common domestic trees include oak, maple, cherry, walnut, ash, poplar, and pine. One note about this kind of wood: Don’t just look at the quick description of the piece of furniture. Something might be described as walnut, but that could just be the color of the stain. The piece might actually be made from pine. It’s okay if this is the case, just make sure you know what you’re getting – you shouldn’t be paying walnut prices for a piece of furniture made with less-expensive wood. We go into further detail on the species of wood commonly used in our article here. Some American manufacturers import beautiful tropical wood like mahogany and still make the furniture in the U.S. But lots of foreign wood varieties are less expensive and end up being used to construct furniture in overseas factories. 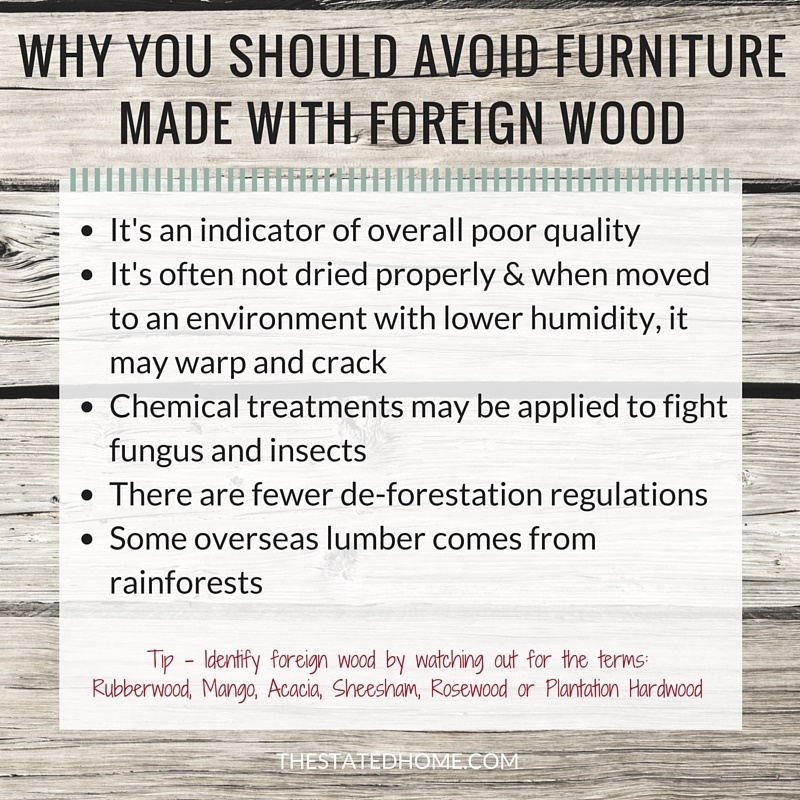 It should be a red flag if you see a piece of wood furniture made from Rubberwood (commonly referred to as generic “Plantation Hardwood”), Mango, Acacia, or Sheesham (a type of Rosewood). Wood grown in tropical, humid environments may not be dried properly. When moved to a less-humid home (a.k.a. most of the US), the furniture might shrink, warp, and crack. Chemical treatments might be applied to fight fungus and insect infestations. There is more likely a concern of de-forestation (something especially alarming considering some of these trees are being cut down from rainforests). While you can assume furniture made from the tropical species mentioned above is imported, the reverse is not true. 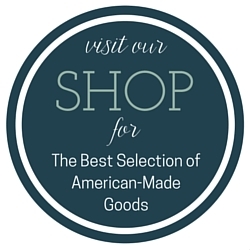 Just because you find a piece of furniture made from oak, maple or cherry (or any other common North American wood), you can’t assume it’s made in America. We export a lot of timber overseas for furniture manufacturing and then ship it back again as finished furniture (don’t get us started on how wrong this seems!). That’s why it’s important to always ask where the furniture is made. Check out this great in-depth article about the negative effects of timber exporting here on Yale Environment 360. 2 Comments on Wood Used for Furniture: Where Does it Come From? Thanks so much for your comment! And you make a good point. 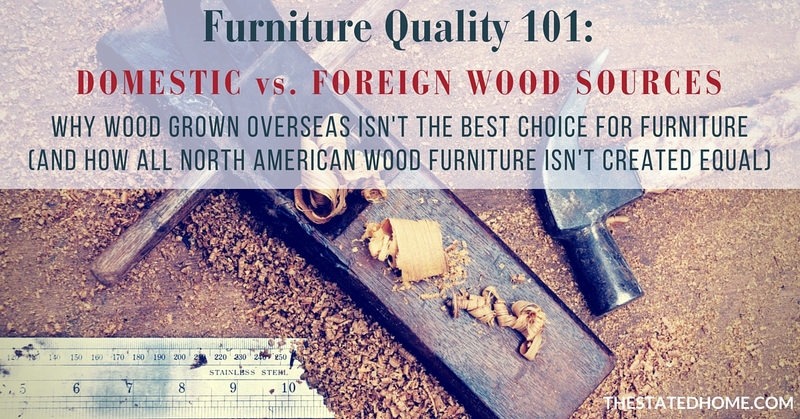 Not every single piece of furniture made with foreign wood is poor quality, but it is a sign of that being the case. If you find a piece you love made with foreign wood, make sure to look at the construction and craftsmanship of the piece closely before buying.